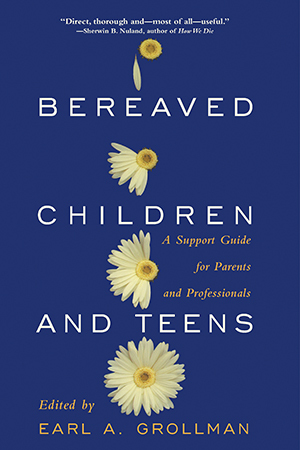 Bringing together fourteen experts from across the United States and Canada, Bereaved Children and Teens is a comprehensive guide to helping children and adolescents cope with the emotional, religious, social, and physical consequences of a loved one’s death. The result is an indispensable reference for parents, teachers, counselors, health-care professionals, and clergy. Topics covered include what to say and what not to say when explaining death to very young children; how teenagers grieve differently from children and adults; how to translate Protestant, Catholic, or Jewish beliefs about death into language that children can understand; how ethnic and cultural differences can affect how children grieve; what teachers and parents can do to help bereaved young people at school; and activities, books, and films that help children and teens cope.